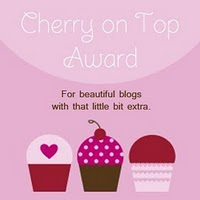 I've been finding some fairly new challenge blogs on the block lately, some on my own and some I've been invited to join. It's always fun when your peers like your creations enough to invite you to join in, very good for the old ego. I found Cas-tastic Wednesday Challenge--These will be Clean and Simple Cards, they said on their site lots of white space. Wow, when you're used to loading up your cards with papers and embellies, this will truly be a challenge. 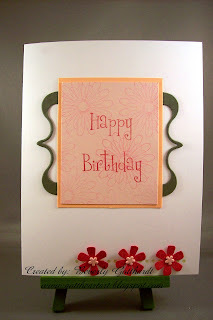 Stampin' Royalty has a Picture Perfect Inspiration challenge this week. I chose to go with some of the colors I think are in the picture and the stamp set. Apricot Appeal, Blush Blossom, Old Olive, Melon Mambo. Supplies: White Card Blank 5" X 6 1/2" Halcraft, Papers: Stampin Up, Stamps: Stampin Up-Punched Posies, Cheery Chat, Ink: Stampin Up-Melon Mambo, Old Olive, Sizzix Bigz Die-Dingbats #1, small flower brads unknown, glue dots. Hi Beverly. Great CAS card! Good choice of colors and good luck in the challenges. Thanks so much for joining us at For Fun Challenges this week. Sure hope to see you back next week. What a lovely card - your design is great! Thanks for playing at Stampin' Royalty. Great to see you playing along with us again Beverly! Your card is simply CAS-tanstic!! Thanks for joining us at Tuesday Morning Skteches. Im so glad you found us and decided to share your wonderful card with us at ForFun. I hope to see you back again! Cute; I love a CAS card! Thanks for playing along with us at Tuesday Morning Sketches! What a sweet card! I love the simplistic design! 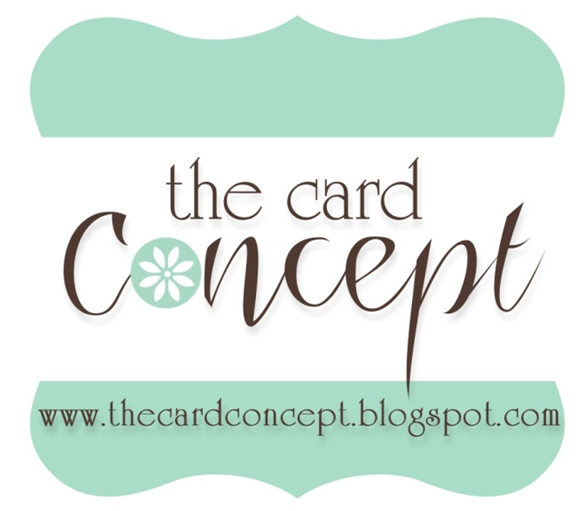 Thanks for playing with us at Stampin' Royalty this week! Very cute! I love the simplicity! Thanks for playing along with us at Stampin' Royalty! I'll have to check out this Cas-tastic site. I tend to make more tailored cards myself. I love your card. Really makes one focus on the sentiment.Thanks for sharing with For Fun Challenges. I'm so glad you played with us this week and Stampin' Royalty. Great Card! !